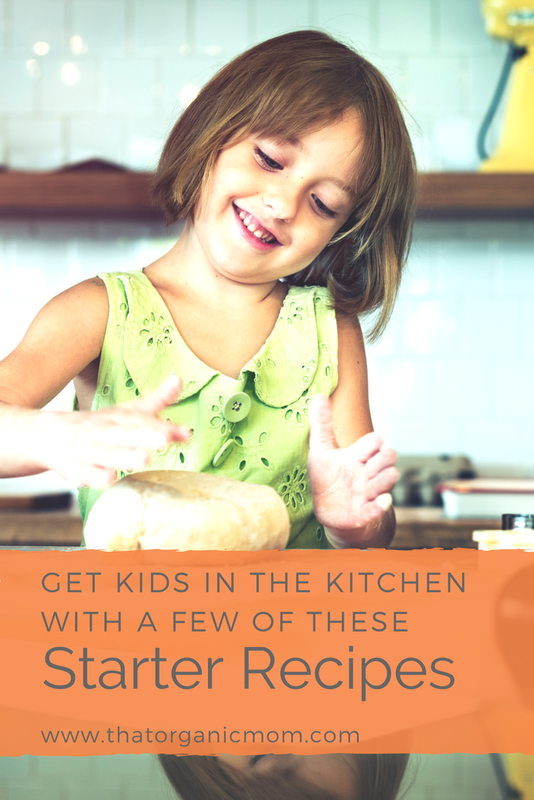 Starter Recipes for Kids - Ideas for children who want to cook! Starter Recipes for Kids – Ideas for children who want to cook! Encouraging kids to get into the kitchen learning how to prepare healthy and fun meals and desserts continues to be one of my favorite things to do. As the youngest of my six children will be approaching ten this year, I thought it would be fun to compile a list of starter recipes for kids. Ideas for little chefs, children who want to learn the art of cooking. 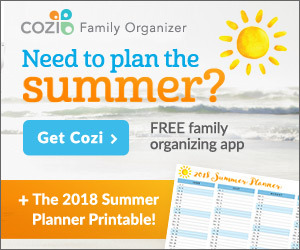 Go ahead and print out the list from the post what kids can do to help in the kitchen and work on implementing some of those tasks occasionally so that your child gains the skills necessary. You might also like to check out my kitchen tools PDF. Here are some ideas and starter recipes for kids that elementary age children will be able to accomplish without parents worrying about stovetop and oven safety. One no-cook recipe that my daughters make for breakfast sometimes is a Yogurt and Fruit Parfait. There are so many variables with this that it never gets old. Start with yogurt and add in layers of fruit and granola. Use store-bought granola or make your own, it's not hard! Try to rotate the various types of fruit depending on the season. This can also spark a chat about which fruits are in season during different times of the year. 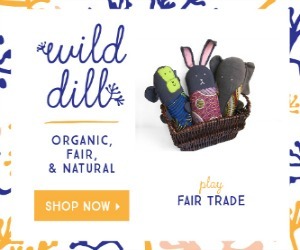 Make it even more fun by visiting a pick your own fruit farm. Search for blueberries, blackberries, strawberries, apple farms and much more. In my area, we can get lots of fresh local fruit at the farmer's market but I also make a note on my calendar to remind me when different orchards and farms open to pick your own. Doing this is such a great family tradition as well as a way to support local farmers and be healthy! You may not think it's a huge deal, but kids will take pride in a well-made sandwich. Try to let them use their imaginations within reason. My kids have eaten strange sandwiches including a mayonnaise only sandwich, hummus sandwich, butter sandwich, and even a pickle sandwich! Of course, there are always the traditional style sandwiches with nut butter and jam or meat and cheese. Mix it up with different types of bread such as brioche bread, bagels, buns and others. Do a search for bakeries and gluten-free bakeries near your home and let them experiment with different types of bread. The bakery near our house has Rye bread among others and my children love to make sandwiches on this dark bread. Keeping some sliced vegetables and leafy greens to add to sandwiches will encourage kids to add extra healthy ingredients to their sandwich creations! Parents can encourage children to love baking by allowing them to help in the kitchen from an early age. Gradually give kids more responsibility when it comes to using the oven. Go over instructions on how to use the oven safely. Supervise their first few efforts and always be close by in case they need your help. Scrambled eggs are a great place to start when learning to cook on the stovetop. Of course, if your child is a macaroni-and-cheese type (like my Shawna) they will feel so empowered when they are able to follow the instructions on the back of the box to make their favorite side-dish. Quesadillas are another stovetop food that kids can make with just tortillas and cheese, but if they are creative they can add some spinach leaves and other ingredients. Baking is a favorite kitchen activity for many kids. 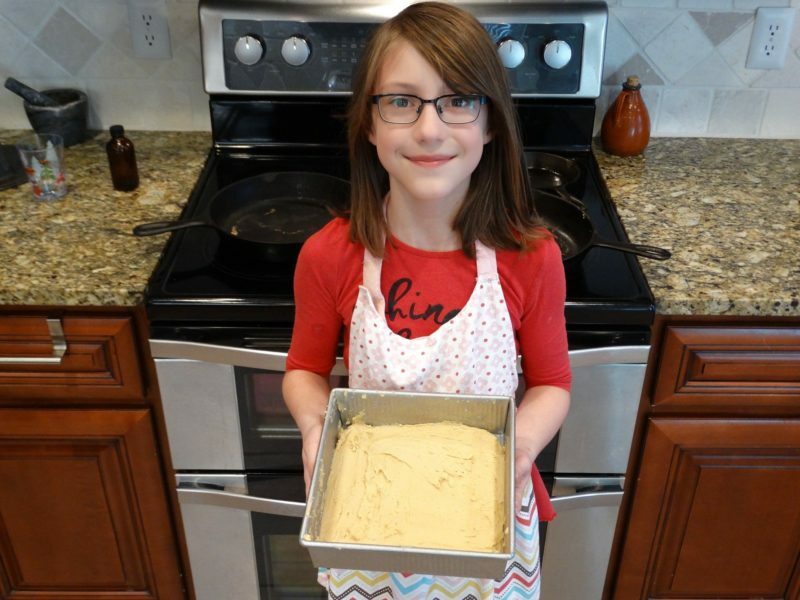 My youngest daughter enjoys baking and has several of my recipes memorized. The dessert she makes most often is my Blondies recipe which her brothers readily gobble up. My friend Jami has this Best Banana Muffin video that looks like fun! Another recipe elementary age kids can learn to make on their own is our Rich and Easy Chocolate Cake with or without frosting. How about traditional peanut butter cookies with only three ingredients peanut butter, eggs, and sugar? If you are trying to teach your children to make healthier choices, you could substitute almond butter and coconut sugar. In fact, this is a great time to teach kids to read labels. 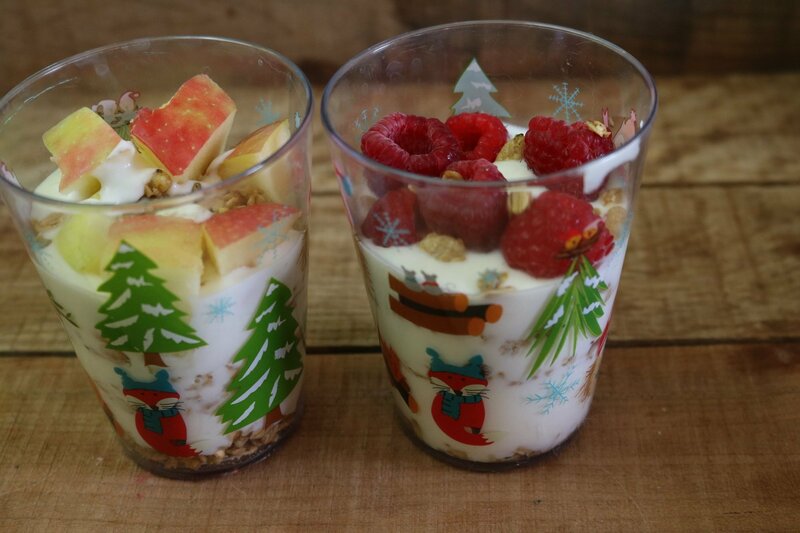 The yogurt parfaits I mentioned above make a perfect breakfast. We also like to make Oatmeal, a simple breakfast many kids can make without help. Pancake mixes, such as the Kodiak Flapjack Mix, are great for kids to use for making breakfast. Try mixing up your own pancake mix to keep in the pantry for weekends when the kids want to cook and you want to sleep in. Don't worry if your child is gluten-free, there are still plenty of options. Kids can make my easy french toast casserole with just a little help, depending on their age. Elementary age children can crack eggs, cut the bread, pour ingredients into the pan. Many teenagers could definitely complete the entire recipe on their own. Salads are easy to put together and using your imagination only makes them taste better. Give kids a bowl and ask them to put together a tasty salad with the vegetables you have in your fridge. Even better, allow them to choose vegetables for a salad while you are together at the supermarket. It's fun to build a salad in a jar; try the RX Salad or Chicken, Pear and Arugula salad or some of my favorite salad dressings. 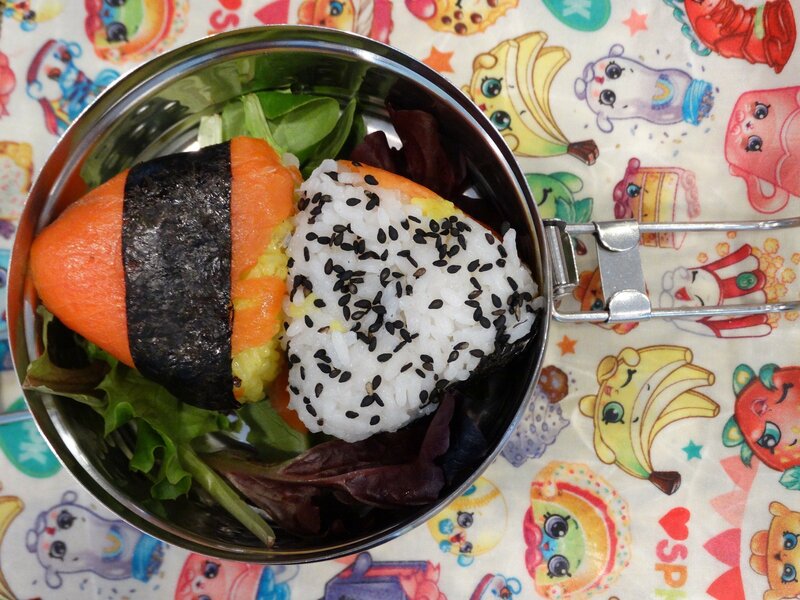 Kids love making things in molds; recipes like Salmon Onigiri. When I make these my kids want to help and they can't wait to dig in. A combination that my entire family loves is a grilled cheese with tomato soup and a small salad. My easy creamy tomato soup works well for this combo. In fact, a friend of mine substitutes tomato sauce in place of the diced tomatoes to save the blending step. Try these warming soup suggestions as well as our favorite Golden potato soup. Pair the soup with this Garlic Cheddar Biscuit 3 ingredient recipe or even this Cheesy Monkey Bread recipe. What kid doesn't enjoy a nice creamy bowl of ice cream? 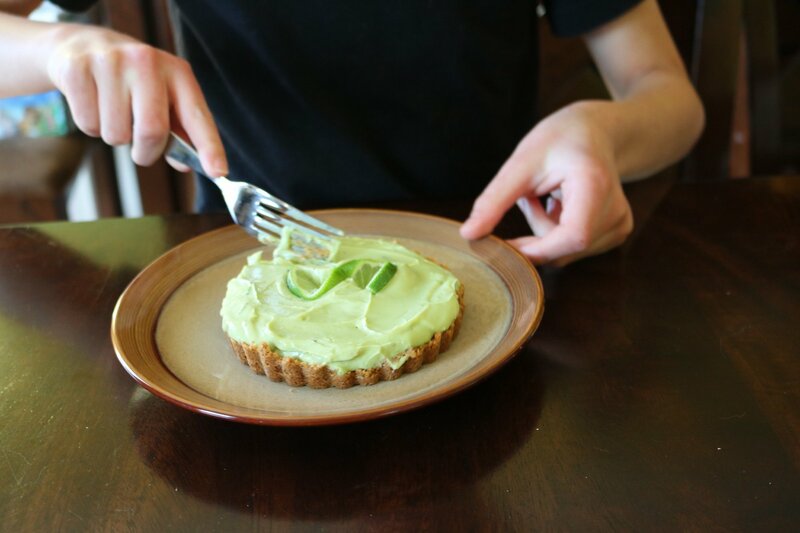 Making your own is very satisfying and can be a family tradition. 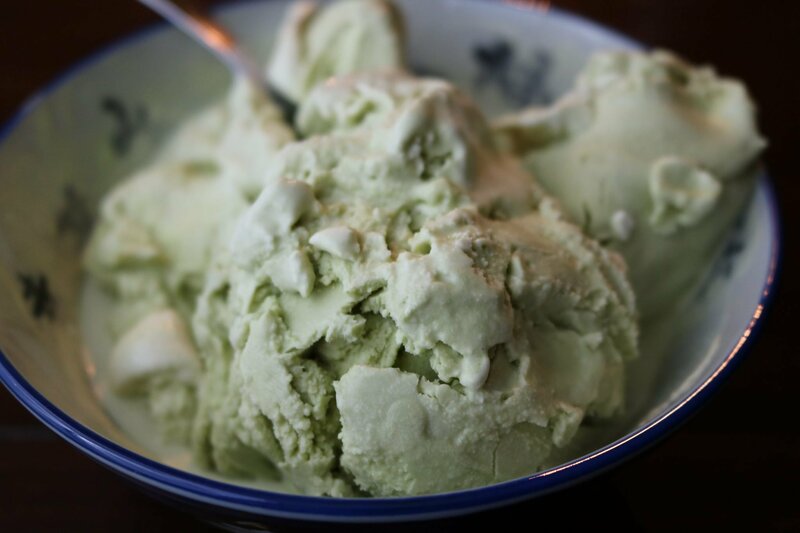 We make many variations on my original vanilla ice cream recipe, including matcha ice cream! On the blog Kids Cook Dinner Max and Alex (two kids who started their own cooking blog and also competed on Chopped Junior from Food Network share their adventures in cooking. Seeing other kids who are passionate about getting in the kitchen can spark inspiration in others, which is why I love to see blogs like this! During high school, my daughter Ivy collaborated on some cooking videos on my youtube channel. The recipes were things like Hot Cocoa from scratch, German Pancakes, Biscuits and Gravy, Quiche and more. Check those out in the Ivy Wants Food Playlist. A wonderful starter cookbook for kids is 20 Recipes Kids Should Know. You know what kids love the most about spending time in the kitchen? Eating the final product!! I hope these ideas help you get started making memories in the kitchen with your kids!